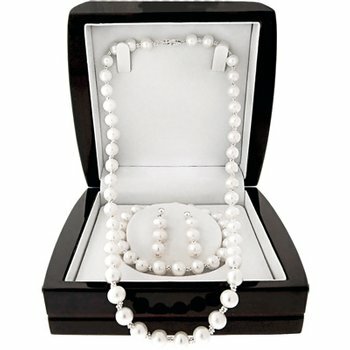 The perfect gift - A white cultured pearl necklace, earrings, and bracelet with sterling silver accents in a beautiful box . The pearls are 7mm. The necklace is 18", the bracelet is 7", and the earrings are 1 1/4" long.